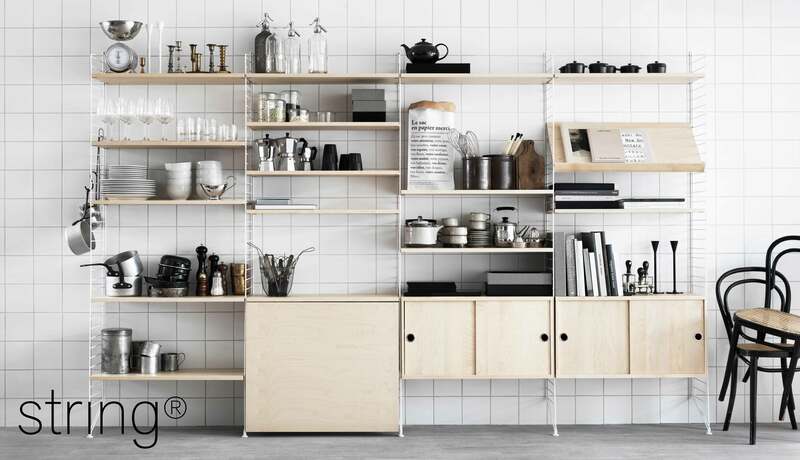 String® Shelving is the multiple award winning highly versatile modular storage system designed by Nils Strinning in 1949. The String® storage ranges offer a high level of versatility due to their modular compositions; the user can create their own composition using the online builder found here, and then simply provide us with a list of the required components and we will take it from there. 1) You can purchase all of the components you require individually (found below) by adding them one-by-one to your cart. 2) You can buy one of our preset configurations, also found below. 3) You can provide us with an image of a String® setup you like and we'll quote you based on that exact setup. 4) You can give us a call on 01843220088 or email us on shop@papilloninteriors.co.uk and discuss your requirements. We'll be more than happy to help out.